Jennifer Ambrosio – AAS, BS, CVT, instructs students during their Pre-Clinical surgical rotations. Jennifer is a Colorado native, graduated from Bel-Rea in 1995, and received her degree in Biomedical Science from Colorado State University in 2009. She brings experience from several different areas of the Veterinary field including general, emergency and specialty practice, non-profit, industry, and academia. Throughout her career she has been involved with local organizations, such as: Denver Dumb Friends League, Colorado Horse Rescue, Colorado Pug Rescue, the aquarium, and canine search and rescue teams. 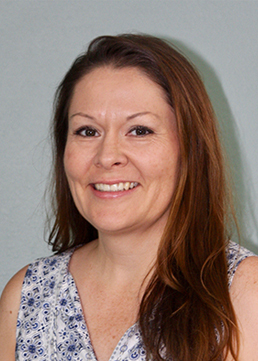 Since 2006, she has been a Technician in the Anesthesia Department at the Veterinary Teaching Hospital at Colorado State University where she has also worked as a Research Assistant and Clinical Educator. These academic roles helped foster a passion as an educator and she thoroughly enjoys working with students from the professional veterinary medicine program as well as veterinary technician students. Instructor since 2018.